A collection of the best fishing charters in Key West that will provide everything you will need for a great day of fishing. From the shallowest flats fishing to the deep sea blue waters of the Gulfstream. 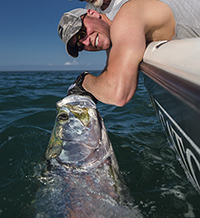 Sandwiched between the Gulf of Mexico and the Atlantic Ocean Key West is a mecca for sport fishermen. We have the largest group of professional fishing guides and charters that cater to the anglers with the best in customer service and professionalism in Key West. All specializing in a specific field to make sure you are getting the very best. Looking for a Key West fishing charter can be a daunting task. There are many choices and some of them are good. We help you choose based off of what you are looking for and whats available. A diverse watersports park that offers Key West visotors options. 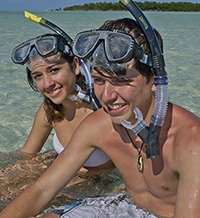 Boating, sight seeing, eco tours, water sports and snorkeling are all well withing reach here in Key West. Boasting the largest living coral reef in the Northern Hemisphere we have the ultimate sportsman and watersports enthusiast play ground with so much to see under and on top of the surface. Our Caribean quality water makes our auqa landscape breathtaking. Boating charters can have many different ingredients, we make sure our clients get exactly what they are asking for. Check out our many different selections and see what fits best for you. Just give us a call. We are happy to help you personally and chose the best charters in Key West. The Keys To Key West Inc. All rights reserved.